When you donate, you become part of the Red Envelope Giving Circle. Your donation will be 100% tax-deductible. If you donate $250 or more, you will have a vote to determine the grantees for the current grant cycle. Red Envelope Giving Circle is a member of the AAPIP National Giving Circle Network. And, thank you so much for your generosity! 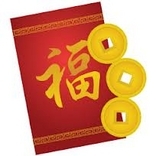 Make checks payable to “Horizons Foundation” and indicate “Red Envelope Giving Circle” on your check. Horizons is our fiscal sponsor and is a 501(c)3 organization. Their Tax ID number is 94-2686530.